Note : These notes/lessons has been designed for the use of readers of this journal, students & teachers. No publisher, except AIFAS, is authorised to publish these notes in any magazine or journal or in a book form - Writer" Lesson No. 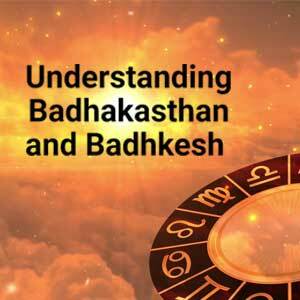 1 Important : Before we proceed to the actual topic dealing with Jaimini Astrology, every reader and teacher related to this subject should bear in his/her mind that there are so many systems in predictive astrology prevalent in India. We shall strictly adhere to the rules and norms laid down by Jaimini Maharishi. In this context we shall refer to Neelkanta's book 'Jaimini Sutaram' only. Maharishi Parashara and Maharishi Jaimini's rules pertaining to Astrology are identical up to houses, signs and planets only. Thereafter we shall follow Maharishi Jaimini only with no intervention of Parashar rules. This should be followed strictly. On Aspect : As per Jaimini rules aspects by signs prevail. Hence first of all, the rules pertaining to aspects are discussed here. A moveable sign aspects the fixed signs but not next to it. It means all the Moveable signs aspect three fixed signs leaving immediately next sign. To understand it see illustrations below : A dual sign aspects the other dual signs only. It means every dual sign aspects the rest of three dual signs. 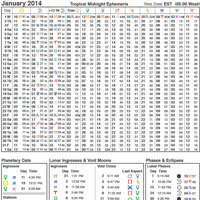 Table showing the aspecting signs & aspected signs is given below : Aspecting Sign	Aspected signs Aries	Leo, Scorpio & Aquarius Taurus	Cancer, Libra & Capricorn Gemini	Virgo, Sagittarius & Pisces Cancer	Scorpio, Aquarius & Taurus Leo	Libra, Capricorn & Aries Virgo	Sagittarius, Pisces & Gemini Libra	Aquarius, Taurus & Leo Scorpio	Capricorn, Aries & Cancer Sagittarius	Pisces, Gemini & Virgo Capricorn	Taurus, Leo & Scorpio Aquarius	Aries, Cancer & Libra Pisces	Gemini, Virgo & Sagittarius Comment : The aspect of a sign has four fold influence since every sign aspects three other signs and in turn this aspecting sign is under the aspect of these signs. Now comes the turn of a planet. The planet placed in any sign is supposed to aspect all the three signs being aspected by this the sign of planet. Hence the aspect of planet is depondent upon the aspect of a sign. A planet placed in a sign influences the sign in which it is placed and the signs it is aspecting. Here it should be clear that the placement of a planet in a sign is as powerful as its aspect is. To make it more clear an imaginary illustration is given below: Janma lagna is Leo and it is occupied by Venus. Leo sign along with Venus will aspect Libra, Capricorn & Aries. Thus Janma lagna is influenced by Venus and in turn Sun from Libra, Moon from Capricorn & Jupiter from Aries aspect the Janama lagna i.e. Leo, since the signs occupied by these planets are aspecting Leo as well as Venus. Here two terms aspecting & aspected will be used quite often. Kevala & Yogada An aspecting planet has been classified into six categories. The six categories defined below are powerful in ascending order. 1. 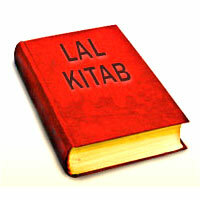 A planet which is placed in Janma lagna or aspects the janma lagna is termed as aspecting planet. 2. A planet who aspects the Janma lagna and its 7th house is a superior aspecting planet as compared to rule no. 1. 3. The lord of sign in which the Moon is posited, if aspects the Janma lagna is called Kevala. 4. The lord of sign in which the Moon is posited if aspects the Janma lagna and the Moon is called Kevala of superior order as compared to rule No. 3. 5. 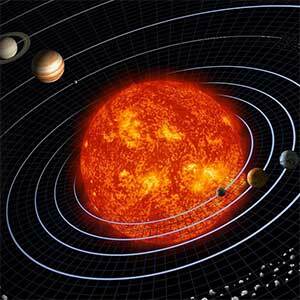 A planet placed in or aspecting the Janma lagna in Natal chart and Navamsha lagna in Navamsha chart is called Yogada. or A planet placed in or aspecting the Janma lagna in Natal chart and Drekkana lagna in Drekkana chart is called Yogada. 6. A planet placed in or aspecting the Janma lagna in natal chart, Navamsha lagna in Navamsha and Drekkana lagna in Drekkana chart becomes a top order Yogada planet. Note : Many authors advocate special methods of reckoning Navamsha & Drekkana charts under the Jaimini Astrology. However we shall restrict ourselves to the traditional Navamsha & Drekkana charts only. Example to explain the Kevala & Yogada Aspecting planet of 1st order & 2nd order In fig (a) Mars is aspecting planet and aspects the janma lagna only while in fig (b) Mars aspects the janma lagna & its 7th house. Kevala of 1st & 2nd order. Moon is posited in Taurus and Moon sign lord is Venus. In fig. (a) Moon sign lord i.e. 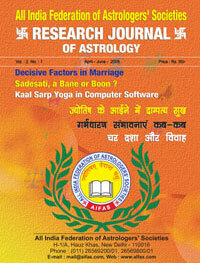 Venus is aspecting the Janama lagna only while in figure (b) Venus is aspecting Janama lagna and Moon as well. In fig (a) Saturn is aspecting the janma lagna and in fig c it is again aspecting the Drekkana lagna but it is not aspecting the Navamsha lagna hence this Saturn becomes Yogada planet of first order. Yogada Planet of Top Order Janma lagna is Libra, Navamsha lagna is Capricorn and Drekkana lagna is Aquarius. Venus is placed in lagna in natal chart, aspects the navamsha lagna in Navamsha chart and Drekkana lagna in Drekkana chart, hence this Venus has become the Yogada planet of top order. Note : 2nd order here mentioned and explained in the formation of Kevala & Yogada is superior/top order. In the earlier illustrations only imaginary signs & planets were shown so as to make the aspects etc. easily understand able. Now we produce a live example below showing Yogada planets of 2nd order i.e. top category. Male Native : DOB : 11.11.1945, TOB : 6.00 A.M. IST, POB : Long: 74E59' Latitude : 30N58' (a) Venus is placed in Janama lagna of natal chart. This becomes an aspecting planet. Venus aspects the Navamsha lagna in Navamsha chart and Drekkana lagna in Drekkana chart hence Venus qualifies to become the Yogada planet of top category. Before we move further, we would like to explain the technique suggested by Sage Jaimini to decipher the 'Sutras' without divulging into the translation part of the language used in 'sutras'. The sage evolved a unique method known as 'Katapayadi'. Every Hindi letter has been assigned with a numerical value starting from 1 to 9. All the vowels have been given 0. The letters & their value are tabulated below : Ka	d	1	Ta	V	1	Pa	i	1	Ya	;	1 Kha	[k	2	Tha	B	2	Pha	Q	2	Ra	j	2 Ga	x	3	Da	M	3	Ba	c	3	La	y	3 Gha	?k	4	Dha	<	4	Bha	Hk	4	Va	o	4 Nga	³	5	Na	.k	5	Ma	e	5	Ssa	l	5 Cha	p	6	Ta	r	6	Sha	'k	6 Chha	N	7	Ttha	Fk	7	Ssha	"k	7 Ja	t	8	Daa	n	8	Ha	g	8 Jaa	tk	9	Ddha	èk	9 Jha	>	0	Na	u	0 Now the method is to write down the numerical value of the Hindi letter used in 'Sutra'. After taking the numerical value of complete part of sutra, reverse it and divide it by 12. 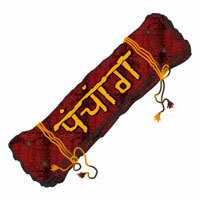 Omit the quotiant and remainder will give Bhava (house). An example of sutra is given below : दार भाग्य शूलस्यार्गता निध्यातुः।। Now refer to table, n=8 j=2 Thus the number arrives 82. Now reverse this number, it will be 28. Divide it by 12, the quotient is 2 and remainder = 4 means 4th Hk= 4 and ; = 1 i.e. 41. By reversing it we get 14 and remainder is 2. Finally l is 5 and y is 3 again when reversed it will be 35. Divide it by 12, quotient is 2 and remainder is 11. Thus final houses which are to be considered are 4th, 2nd and 11th. All the Sutras have been decoded by using the above formula.